Contrary to what people might think painting IS for EVERYONE and it's much easier than you think. When I say painting I mean the practice of applying paint, pigment, color or other medium to a surface with a brush but other implements, such as knives, sponges, and airbrushes, can be used. It might sound intimidating to some but here are the top 10 tips that will help you succeed. You really don't need any fancy paints, tools or canvases. What you need is simple: a brush basin with clean cool water, paintbrushes (flats, rounds and a liner) in a variety of sizes, and paints in a wide variety of colors. Here's another tip, if your paint bottle cap is not color coded, add a dot of paint to the paint cap so that you can easily identify the color you are searching for. 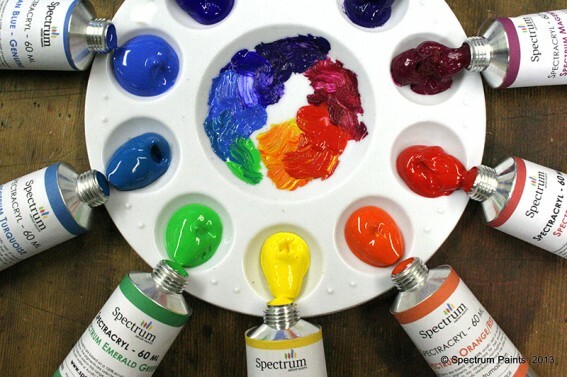 When painting with acrylic paints, have a brush basin or container for water on hand. 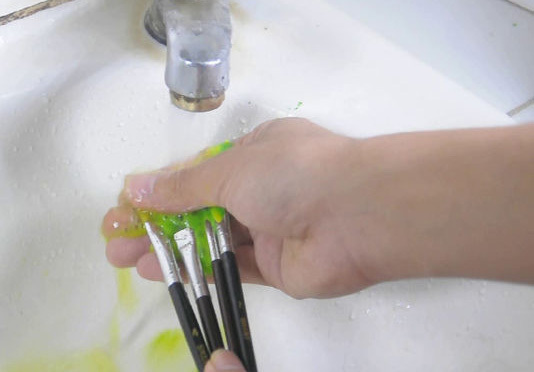 When you need to change the color you're working with you will want to clean your brush. Add a couple drops of liquid dish detergent to the cool water in your brush basin. This will clean your brush quicker. Then it's really important to dry your brush on a paper towel before loading it with a new color. If you don't dry it, the excess water in the brush will dilute or thin the new paint color. You can paint on anything: wood, metal, glass, ceramics, canvas, paper mache, terra cotta, cement, fabric, feathers, some plastics, leather and even old cookware. Find original surfaces like old furniture and suitcases, clothes and any old stuff you want to alter or change. Remember that each surface need a different kind of paint depending on the material and the look you want. Any craft store would help you with that information. 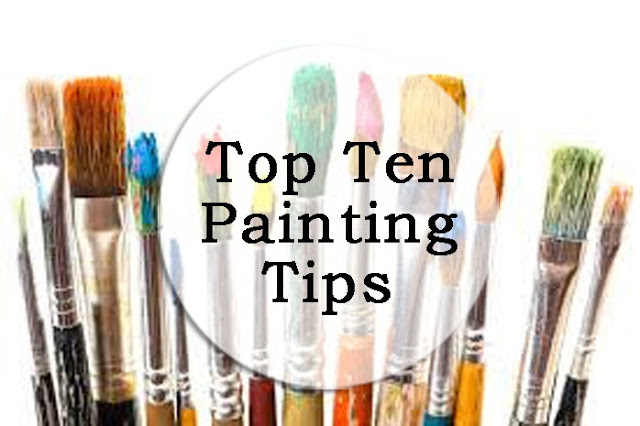 Loading your brush properly will enable you to paint with professional looking results. 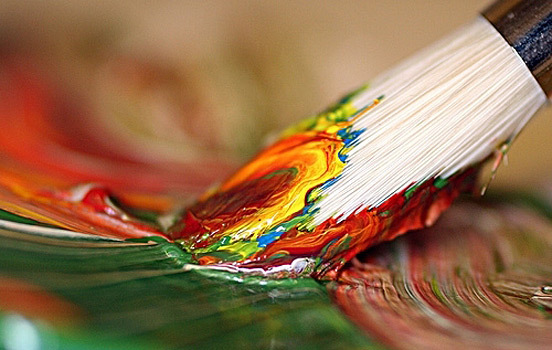 Dip the brush into the puddle of paint on your palette, flip the brush over and stroke into the same puddle. This will ensure the brush would not be overfilled with paint which may create ridges of paint when stroking the brush across your painting surface. When painting a wood surface with acrylic paint, the wood grain will be raised after the first paint layer is dry. This makes the wood feel rough to the touch. Sand with a fine sandpaper and remove the particles with a damp paper towel before applying your second basecoat. If you don't have a fine sandpaper, you can use a section of a brown grocery bag. Simply cut off a section of the bag, fold it in half and sand away! Create fun textures and looks by using other tools to paint your surface. 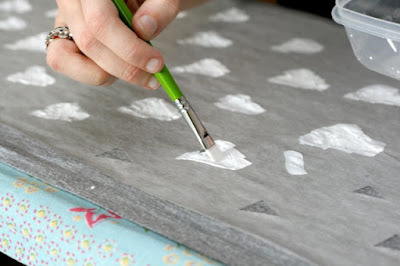 Use sponge, spray, baby wipe or fabric. Each tool texture will create different texture on the surface. Stripes - To easily paint stripes, use stencil or painter's tape to mask the desired vertical, horizontal or diagonal pattern. Apply paint to the unmasked areas using a brush. Peel tape while paint is still wet. Polka Dots - Easy polka dotting tools can include: round brushes, handle ends of paintbrushes, daubers, spouncers, toothpicks, a stylus, fresh pencil erasers or even a dead ballpoint pen. Fun Patterns - Use other tools to create patterns like bubble wrap, TP rolls, stamps, feather etc. Use your imagination! When painting small items stick the small items onto double-sided tape before painting. Wood beads or balls can be strung onto a small dowel or chopstick before painting. Your fingers will remain paint-free and thank you for it! Paint takes time to dry! 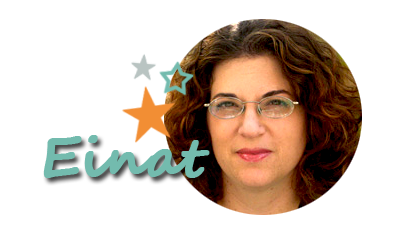 Wait patiently before painting another coat of paint on your surface! Use a heat tool to speed up the drying time. NEVER allow paint to dry in the bristles of the brush. Thoroughly clean all your brush after each use with water and soap. However, if you do end up with a brush with dried paint, soak the bristles in Murphy Oil Soap, then lather and rinse. Be sure to store cleaned brushes so that they are NOT resting on the bristles. It is best to store a brush so that it is upright (bristles up) in a cup or container. And here's another helpful hint: Add a little dry, uncooked rice to the bottom of the cup to help stabilize the brushes. Hasn't this information just made your fingers tickle? Don't you just want to go and paint something? I know I do! I hope you found this information helpful, leave me a comment telling me about it or ask me a question.